These days you can’t highlight one country music artist over another on social media without the inevitable “That’s not country music” comment getting spat back out at you from the readers, and to be honest, a lot of times us journalists tend to agree. For the fans, you listen to an hour or two (some quite a bit more) of country radio a day on your commute to work or as background music to get you through the things that need done. Meanwhile we get both the pleasure AND torture of listening to the flood of sounds coming out of Nashville and beyond nearly all day every day with the specific task of analyzing and tearing it apart to see what it’s made of. It’s a labor of love and sometimes we stumble across patterns long before the fans figure them out. For example, those artists that you love so much… that your soul finds shelter in the songs they sing… well, they’re getting by with the help of a particular friend and a mighty powerful pen! The list goes on and on, and he markedly managed to manifest what seems like the entire soundtrack of the hit TV show Nashville, as well as held the pen behind literally HUNDREDS of chart-topping hits over the last decade. Next time you want to celebrate the song that soothed your soul, or curse the fact that so many these days sound the same, take a look at who’s behind the curtain… I’m pretty sure Shane McAnally will be there. 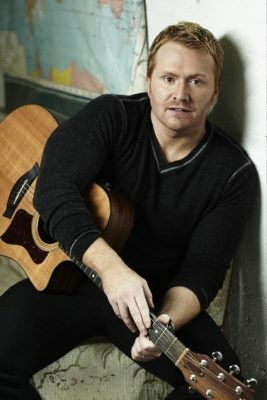 Find the most current Shane MacAnallyShane McAnally tour dates from our partners at Country Music On Tour, your trusted country concert ticket source! Country Music News Blog participates in advertising programs that help fund the operation of this site. For more information please visit our privacy statement. This entry was posted in Featured, Shane MacAnally, Shane McAnally by Shauna "WhiskeyChick" Castorena. Bookmark the permalink.